Aware of the need for and be able to prepare a detailed voyage plan from berth to berth. 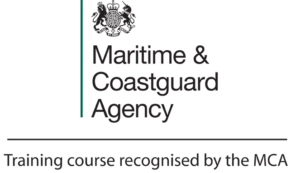 Able to make best use of all relevant information and resources when executing and monitoring a planned passage including the use of ships manoeuvring data to carry out standard manoeuvres and assessment of the effects of wind and tidal forces that may be encountered and the application of effective countermeasures. Able to communicate effectively with other members of a bridge team. Aware of the necessity of carrying out a risk assessment for each stage of the voyage, with particular regard to passages in confined waters. Able to implement effective appropriate crisis management procedures and initiate appropriate responses to emergencies. Able to organise and conduct a bridge team effectively, with particular regard to the importance of briefing and de-briefing and factors such as attitude, cultural differences, workload and stress, human factors in error chains, decision making and challenge and response. In addition to the above topics there will also be multiple simulator scenarios to consolidate the lessons and exercise students’ ability to put the classroom theory into practice. All of our trainers are experienced mariners that are highly experienced in the practical use of leadership, management and ECDIS having pushed themselves to their limits at sea. Our Instructors will be drawing on experiences gained at sea to highlight important factors and to demonstrate effective processes in the classroom, then allowing for the processes to be developed in the Simulator. Candidates will at times be put under pressure within the controlled environment to utilise their newly developed skills. In accordance with Page 1, Chapter 4 of IMO 1.22 Model Course, “Entry standards” trainees should have a minimum of six months’ watchkeeping experience as officer in charge of a navigational watch. However, students not meeting the criteria will not necessarily be disbarred from course attendance in accordance with Page 1 Chapter 3 of IMO 1.22 Model Course, “Degree of obligation to and freedom from the model course”.